From the turn of the twentieth century through the late 1950s, Havana was a locus for American movie stars, with glamorous visitors including Errol Flynn, John Wayne, and Marlon Brando. In fact, Hollywood was seemingly everywhere in pre-Castro Havana, with movie theaters three to a block in places, widely circulated silver screen fanzines, and terms like “cowboy” and “gangster” entering Cuban vernacular speech. Hollywood in Havana uses this historical backdrop as the catalyst for a startling question: Did exposure to half a century of Hollywood pave the way for the Cuban Revolution of 1959? Megan Feeney argues that the freedom fighting extolled in American World War II dramas and the rebellious values and behaviors seen in postwar film noir helped condition Cuban audiences to expect and even demand purer forms of Cuban democracy and national sovereignty. At the same time, influential Cuban intellectuals worked to translate Hollywood ethics into revolutionary rhetoric—which, ironically, led to pointed critiques and subversions of the US presence in Cuba. 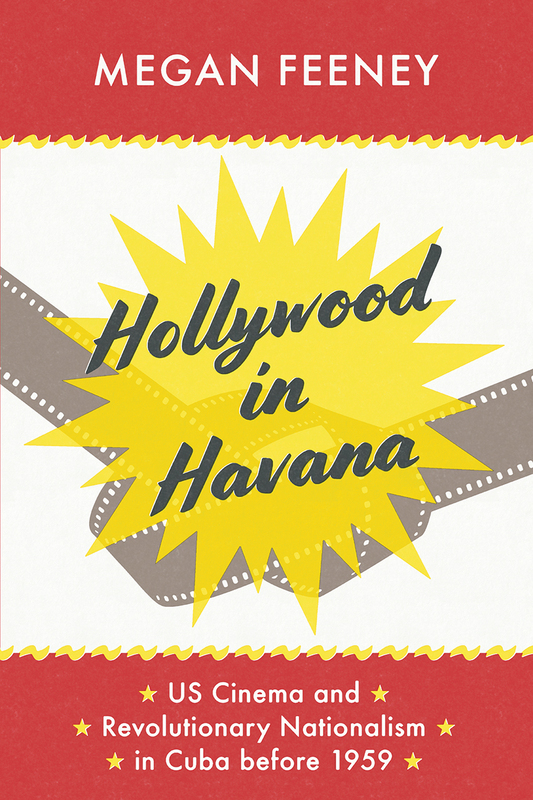 Hollywood in Havana not only expands our notions of how American cinema was internalized around the world—it also broadens our view of the ongoing history of US-Cuban interactions, both cultural and political.